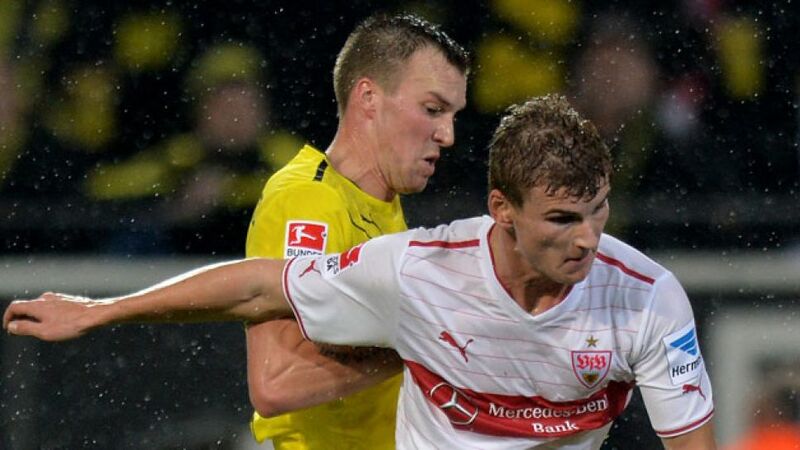 Stuttgart - Entrenched in the mire of a heated relegation battle, VfB Stuttgart face the unenviable task of welcoming second-place Borussia Dortmund to the Mercedes-Benz-Arena on Saturday afternoon (kick-off 14:30 GMT/15:30 CET). After suffering their first loss under new head coach Huub Stevens during midweek, die Schwaben dropped back into the automatic relegation spots, but are keen to right those wrongs against a BVB side coping with the added distraction of a UEFA Champions League tie. Picking up just five points from five-straight games against their relegation rivals in recent weeks has left many to question Stuttgart’s ability to grind out the necessary results. “The league table is only there to capture the moment,” claimed Stevens. “What counts is where things stand come the end of the season.” Though the 1-0 win over Hamburger SV provided a glimmer of hope, it all came undone on Wednesday as they suffered a 2-0 defeat in another proverbial six-pointer against 1. FC Nürnberg. This weekend’s visitors have been suffering from a patchy spell of form of their own in recent weeks and, with their UEFA Champions League quarter final first leg against Real Madrid CF on the horizon, could be hard pressed by a Stuttgart side fighting for their lives. However, according to head coach Jürgen Klopp, “the game against Real is ages away for me and the squad. We’re concentrating purely on the task in front of us”. Promisingly for the hosts, Dortmund have lost their last four league fixtures preceding a midweek European outing, but Klopp, who could be without first-team regulars Roman Weidenfeller, Pierre-Emerick Aubameyang (both flu) and Lukasz Piszczek (muscle problems), insists that “a lack of preparation was never the cause”. Yet, following their 0-0 draw in the Revierderby, BVB know that dropped points could see them slip below arch-rivals Schalke in the standings.